Outbound advertising alone isn’t nearly as dependable as it was in the past, which means that marketers need to be a lot more innovative in the way they present their offers to their leads before getting conversions. Although some tactics have remained the same over the years, sales conversion is consistently improving. Nowadays, there is becoming more and more competition for consumers. However, with the right practices you can ensure you will stick out from the crowd. Though there are many more competitors than before to go up against today no matter what your niche may be, this competition can be managed with the right level of attention paid to relationship building. Because customers have so many different options to choose from for just about everything they could spend money on, what they will value more than the everyday offer is the feeling of being genuinely connected to the provider of the service or product. When you build up your buyer persona with enough detail, you become far more capable of appealing to your target audience. Investing in content that your target audience finds valuable, emphasizing that you care for them and their needs, is a much better way of inspiring repeat business than simply advertising out right. The art of relationship building and sales is to identify the target persona as being special to you, and when that sense of prioritization is natural, they will be that much more likely to become brand ambassadors. By building a relationship and connection with your buyers, they will be more likely and willing to become promoters of your brand. Before spending a single penny on a campaign, it's essential to make sure you have an accurate depiction of who you intend to sell to. Your buyer persona framework will be a collection of personal qualifiers such as age, geographical location, occupation and other things that highlight individuality. The more airtight your buyer persona is, the more clearly you will be able to market to them and qualify them as a lead. Rather than attempting to appeal to everybody at once, it makes more sense to target your sales strategies toward your buyer persona. By targeting your ideal buyer persona, you will be more relevant in your efforts and increase your conversion rates. Though it can be tempting to attempt selling to everybody, sales will be much more sustainable by staying relevant and contextual with those who are likely to buy. 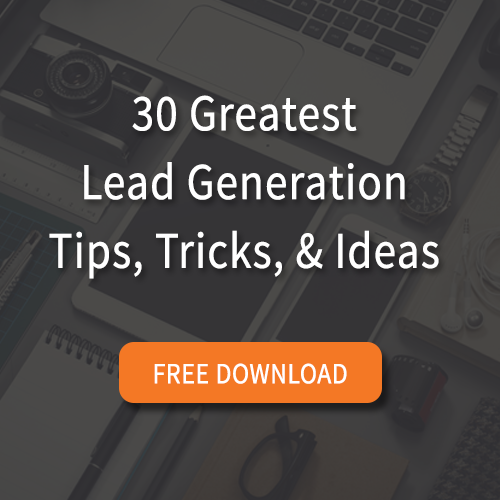 One way to stick out is to offer more pre-sale value to your leads. As they're progressing through the buye's journey and nearing the decision stage, various things can influence their decision. By offering free incentives and pre-sale value you can establish a trust and connection with the consumer. Being willing to provide something for free communicates that you are genuinely interested in providing value instead of just closing a sale. Free samples and giveaways not only make it easier for new customers to trust you, but can also serve as an effective way of marketing as those who enjoy the free giveaway are likely to tell their friends about it. Your past buyers can also be your most strongly qualified future leads. Once you’ve managed to sell a product to a person successfully, you will be in a prime position to make them a repeat buyer if your relationship-building strategy is effective enough. Haivng built a relationship with your customers, you are in a position where you are able to drive more sales without needing to invest as much in acquiring a larger pool of customers. Though some interpret sales numbers as being made up of unique customers, you can drive a high number of sales from the same initial group of loyal buyers who continue to come back and buy time and time again. The more effectively you can turn consumers into repeat buyers, the less that you will have to invest in campaigns to promote your newer offers; through this, your profit margins for making the same amount of sales on new releases will rise simply by virtue of having to spend much less in order to drive sales. Build a strong buyer persona, focus on building relationships, provide free value and focus on developing repeat buyers out of your most loyal customers. By implementing these 4 tips, you will be well on your way to converting more leads into sales.